I've setup a new repo on Github for NES Demos that I sometimes write just for fun. 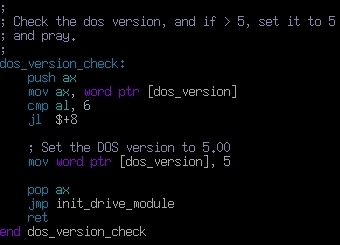 Usually these stem from reverse engineering tidbits from existing ROMs, and adapting and improving upon what I learn from that process. As an engineer, I find the often underrated calculator application to be an invaluable tool. From double-checking simple calculations, to working with large numbers in different bases, it tends to be the constant companion of my pen and paper. I had been using gcalctool but recently realized that, in Programming mode, it takes up almost 1/3 of the width of my screen. Why the hell does a calculator need to occupy that much space on my screen? I wrote a patch to add the functionality I needed to xcalc and couldn't be happier with the results. 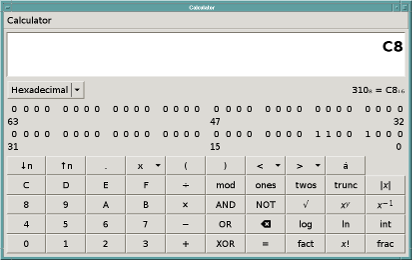 The calculator is nice and sleek, and takes up less than 1/3 the space of gcalctool.